The eligible candidates will then be allotted schools and a notification will be sent on the cellphone of parents, who will have to then confirm the admission of their ward in the selected school, said the official. The admission for 25 per cent reservation under the Right to Education (RTE) for the economically and socially backward students in the state will go online from the next academic year. This has, however, irked activists and parents. who alleged that the process gives freedom to school managements to fix the entry level for admission. An official from the education department said that as per the RTE admission procedure, once the education department announces the schedule, the parents of the beneficiary students will have to fill up forms with details and choice of schools. These forms have to be submitted to the nearest help centre. After receiving all the forms, documents are scrutinised by the officers and a list of eligible candidates is announced. The eligible candidates will then be allotted schools and a notification will be sent on the cellphone of parents, who will have to then confirm the admission of their ward in the selected school, said the official. The Department of Public Instruction has issued a notification directing private schools which were part of a court case, to admit an additional 10% of students under the Right to Education Act (RTE) 2009, as per high court orders. National Public School, Sharada Vidyalaya, New Horizon Educational and Cultural Trust, Sindhi School and others had approached the high court, contending that they were linguistic minority institutions and therefore exempted from admitting students under the Right to Education Act. The 10% is treated as a backlog since students were deprived of admission for the past three years while the case before the court. This allocation is in addition to the 25% seats prescribed under the Act. The schools had denied seats following a stay order by the high court. The court has directed these schools to admit the students under the Right to Education Act this year. This way, the panel virtually mocks at Supreme Court judgement pronounced by a five-judge Constitution bench comprising then Chief Justice R M Lodha and Justices A K Patnaik, S J Mukhopadhaya, Dipak Misra and F J I Kalifulla in May 2014. 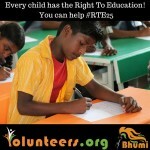 While upholding the RTE Act 2009, the bench, inter alia, had exempted minority schools, both aided and unaided, from the purview of the Act on the ground that minority schools could not be put under legal obligation to provide free and compulsory elementary education to children who were not members of the minority community which had established the school. “In our view, if the RTE Act is made applicable to minority schools, aided or unaided, the right of the minorities under Article 30 (1) of the Constitution will be abrogated. Therefore, the (provision of the) 2009 Act, which made it applicable to minority schools, is unconstitutional,” the bench observed. “Indeed, it can be argued with some merit that the responsibility to provide free and compulsory education of satisfactory quality to children from disadvantaged and weaker sections would extend to not only government schools but also on schools not dependent on government funds. There is a likelihood that the present legal dispensation is a result of an earlier apex legal finding relating to higher education, now inducted to include elementary education in its scope and interpretation,” the panel pointed out. The panel erroneously seems to treat the minorities, particularly Muslims, as educationally and socio-economically forward communities vis-a-vis “the economically weaker sections.” It also appears oblivious to substantive empirical data on the economic, social and educational backwardness of minorities, particularly Muslim community, as brought out by umpteen official panels and surveys, including Gopal Singh High-Powered Committee, Sachar Committee, Ranganath Misra Commission for Religious and Linguistic Minorities, several rounds of NSSO Surveys, and the reports of various BC Commissions constituted by various States all over the country from time to time. The panel does not even rely on the educational profile of minorities that emerges from the Census data for 2011 and the latest statistics of the District Information System on Education (DISE). New Delhi August 11 (ENA) Minister for School Education P Benjamin informed that admission of children from disadvantaged sections under the Right to Education (RTE) Act has increased over the past three years in 2015-16. Mr.Benjamin further said, the awareness programme organized by the Sarva Siksha Abhiyaan on RTE helped to increase the enrolment rate of children from disadvantaged groups and weaker sections in self-financing schools. The Directorate of Matriculation Schools (DoMS) is the nodal agency for the implementation of RTE Act. 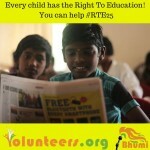 It has developed a comprehensive manual on RTE Act and Tamil Nadu RTE Rules, 2011 which has been issued to all schools. It has also disseminated the provisions of the Act to all principals of matriculation schools as well as parents in collaboration with the SCERT. In addition, the DoMS ensures the issuance and collection of filled in forms for admission of children under 25 per cent reservation as stipulated under RTE Act through the district level offices. Discussions are on at the national level to bring about changes to the Right to Education (RTE) Act in the backdrop of the lower enrolment ratio in government schools, Minister of State for Primary and Secondary Education Kimmane Ratnakar has said. Speaking to presspersons here on Tuesday, he said that the Act was passed to ensure quality education to children from economically weaker sections of society. However, most of the parents of such children were preferring private schools and it was leading to fewer children being enrolled in government schools. It was also creating financial burden to States, as the government had to spend a huge amount to ensure admission of children to private schools under the RTE Act. “So far the State government has spent Rs. 400 crore to admit children under the RTE Act from lower kindergarten to Class 3 in private schools. This expense will go up to Rs. 1,500 crore next year when we will start enrolling children up to Class 8,” Mr. Ratnakar said. The Union government too had noticed this fact and it was discussed at seminars on RTE Act attended by Education Ministers of States. However, the Centre had to take a final call in this direction, he said. Asked about a move to close down government schools with poor enrolment ratios, Mr. Ratnakar said that there was no such proposal. Mr. Ratnakar said that the merger of schools was a necessity in rural areas as the rural population was coming down by the day. It was one of the reasons for poor enrolments in government schools in villages, he said. The government had decided to develop one school in each gram panchayat as a model school. There was a plan to provide vehicles to schools that were merged if the children had to cover a longer distance, Mr. Ratnakar said. The government would provide Rs. 120 crore for nearly 400 government pre-university science colleges to set up laboratories this year, Mr. Ratnakar added. 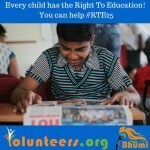 As many as 28,530 seats of the total 1.15 lakh under the Right to Education (RTE) Act quota have not been filled in the State this year. While 78,546 admissions were made during the first round, 8,161 students were admitted during the second round. Although 16,802 children were allotted seats, many parents are yet to approach the schools even though the deadline for admissions ended on Saturday. While 1,478 applications were rejected owing to errors in the documents or duplication in the second round, several applicants have decided not to admit their children as the schools allotted to them were not their first preference. “Although the last date for admissions is over, we still have to analyse if there is a need to extend the last date under the second round,” an official in the Department of Public Instruction said. A day after the Department of Public Instruction (DPI) issued a circular barring private schools from charging fee in any form from the students admitted under the Right to Education (RTE) Act quota, private school managements have decided not to distribute books and uniforms to students, even if parents are willing to pay for them. This has put parents of students admitted under quota in a spot as textbooks used in several private schools are not available in the market. In a majority of the schools, uniforms are also distributed only through a particular vendor. Lakshmi K., whose daughter got a seat for class one in a Basaveshwarnagar school here, said the school management had earlier asked her to pay Rs. 14,500 under various sub-heads. “I borrowed some money and collected Rs. 7,000 which is the money for books and uniforms. But now the school management says they will not give us uniform and books. My daughter is being discriminated against even before stepping inside the school,” she said. Another parent, Rajeev B., said he paid Rs. 12,800 for books and uniform. “The government says we need not pay, but the schools say our seat will be cancelled if we don’t. So I decided to pay the entire amount. The amount is almost equivalent to an entire year’s school fee,” he said. The department, in its circular issued on Thursday, quoted section 7 (2) of the Karnataka Right of Children to Free and Compulsory Education Rules 2012, which states that schools should not discriminate against children admitted under the quota in any manner with respect to entitlements and facilities such as textbooks, uniforms, library, ICT facility, co-curricular programme, and sports. D. Shashi Kumar, general secretary of the Associated Managements of Primary and Secondary Schools in Karnataka, said that all the 1,700 member-schools had been instructed not to distribute books and uniforms to students admitted under the quota. • Less number of people visited centres set up by Education Department. • Responding to warning of Education Department, only 10 parents turned up to withdraw additional applications. Even after repeated instructions, most of the parents submitted multiple applications of their wards to get admission under the Right to Education (RTE) Act. This happened because most of the parents skipped visiting Government centres and instead took help of Internet cafe and centres started by Non-Government Organisations (NGO). Though Government set up its own centres in sufficient number, 63 in Nagpur district, parents shockingly did not approach them. Highly placed sources in the Education Department said that most of the parents went to various Internet cafes, private centres where they were misguided. They did not get clear direction and guidance about submitting applications. At private centres and Internet cafes they were told that multiple applications would help them in getting admissions in right school. But, Education Department feared that students might get admission in multiple institutes and would put other students in trouble. Considering this aspect, the department had appealed to the parents to withdraw additional applications and keep only one. While submitting on-line applications of their wards parents have filled multiple options of schools. Education Department has received such applications. Some of the parents gave incorrect date of birth of their wards. It is being checked. The department has asked parents to withdraw additional applications within two days, Else, all the applications will be cancelled except the last one. Parents are expected to withdraw additional applications by May 13. Responding to the warning by the department only 10 parents out of 523 who submitted multiple applications, approached the department and withdrew additional applications. The department will wait for other parents to turn up by Friday, else it would consider the last application and cancel the other. Education Officer Dipendra Lokhande has appealed to the parents that once application submitted on-line there is no need of scrutiny of the documents in the office of Education Department. The checking of the documents will be done at the respective schools where the child gets admission. Parents can get the details from Deputy Director of Education Anil Pardhi – 9604024711 or Education Officer Dipendra Lokhande- 8411003518. EVEN after repeated instructions, most of the parents have submitted multiple applications of their wards to get admission under the Right to Education (RTE) Act. This has created chaos as itis fearedthat students may get admission in multiple institutes. Considering this aspect, EducationDepartmenthas appealed to parents to withdraw additional applications. While submitting on-line applications of their wards, the parents have filled multiple options of chools. Education Department has received such applications. Some of the parents have filled incorrect date of birth of their wards. It is being checked.The department has asked parents to withdraw additional applications within two days else all the applications would be cancelled except the last one. The parents are expected to withdraw such applications by May 13. The registration ended on Tuesday as one more extension was given. Education Officer Dipendra Lokhande has asked the parents that once application submitted on-line there is no need of scrutiny of the documents in the office of Education Department. The checkingwill be done at the respective schools where the child gets admission, he said. Parents can get more details from Deputy Director of Education Anil Pardhi – 9604024711 or Education Officer Dipendra Lokhande – 8411003518. Narrating a recent incident of a parent trying to dupe the school authorities to get her ward admitted under the Right To Education (RTE) act, Kumudini Bangera, the headmistress of Horizon Academy, said that the woman sought admission of her son in the school by claiming to be staying with her parents. On verification, it was found that the woman in question was in fact living with her husband and parents-in-law at Dwarka and was running a business of her own; thus clearly violating the eligibility criteria for the scheme. Neither was the candidate staying in the vicinity of the school, nor did he belong to the weaker section of the community. Cases such as this have forced city schools to be doubly cautious of the dubious applications they receive from parents seeking admission of their wards under RTE despite not being eligible for the same. Moreover, lack of a proper government mechanism to verify the veracity of the applications is making it all the more difficult for city schools to keep the malpractice in check. Ritu Agrawal, a trustee of city-based Wisdom High International School, said there have been a number of instances where the school authorities received fake documents from the parents and had a tough time verifying and rejecting them. “Since there is no government mechanism to verify the authenticity of the candidates, the schools have to rely on their own sources to take decisions on the admission process,” said Bangera, who herself has taken up the task of verifying the applications. In yet another incident, the parent had mentioned the wrong address while filling the admission form, Bangera added. “After thorough verification, I found out that the child lived in a bungalow with his parent, but the address in the form was filled out wrong,” she said. Other incidents Bangera came across while verifying admission forms under RTE included a parent taking pains to actually reside in Harsul, 40km from Nashik, only to prove that the child was in fact living near the school. Another parent convinced the six tenants of the house that he had given on rent to convince the principal that he and his family also to lived there. “When we verified, we discovered that the man was residing in a posh bungalow in some other part of the city,” she said. Agrawal said that a parent residing in a plush apartment behind Navshya Ganpati temple on Gangapur Road wrongly mentioned his address to be in the modest Ganeshnagar area of Satpur. Another principal of a prominent city school, on the condition of anonymity, said, “Some parents are so desperate to get their wards admitted into the school that they even offer to relocate so that they may come under the jurisdiction of the school premises to facilitate the admission to their ward.” On being rejected, they approach politicians to get the admission application passed, she added. “I remember a corporator calling me up later to clear a candidate’s application even though he failed to fit the criteria,” she said. “It is the school’s call to verify the candidate’s details. If anyone approaches us with a complaint against the school, we have to explain the grounds on which the candidate was rejected,” said Umesh Dongre, administrative officer of the education department of the civic body, adding that if a school is found guilty of not giving admission to the rightful candidate, action is taken. The last day for filling online application forms for admission under the RTE was April 26. The admission process will begin in a few days with draw of lots. In the meantime, the education department of the Nashik Municipal Corporation (NMC) will be conducting a draw of lots to admit students to various schools under the RTE. The department had extended the deadline four times in order to accommodate maximum students.The civic body received 2,321 online applications till the last day of filling forms under RTE. 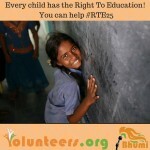 The total number of seats in 105 city schools under RTE is 2,176. In the entire district, 5,585 forms have been filled for 5,900 seats. The online registration of schools for RTE began in the first week of February but had to be extended from March 5 to March 15 as all the 106 schools had not registered with the NMC’s education department. Admission for 25% reservation under RTE was made online for city students in the last academic year and has been extended to the entire district this year. From March 17 to 31, parents had to fill out applications online for their wards under RTE. The deadline was extended multiple times until April 26. “We will soon be deciding the dates for the draw of lots,” said a senior education officer.